You are purchasing a Lot of 50 New TE Connectivity/AMP 320559 PIDG Nylon Window Splice Wire Size 22-18. You are purchasing a Lot of 5 TE Connectivity / AMP 206060-1 CPC Plug Kit w/ Cable Clamp and Gold Sockets. Accessory TypeTwo Piece Backshell. HardwareAssembly Hardware. NEW & ORIGINAL IN MFG BAGS . Number of Positions25. PlatingNickel over Copper. 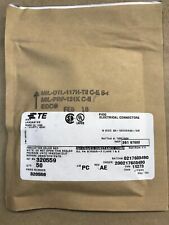 You are purchasing a Lot of 10 New TE Connectivity / AMP 206037-1 CPC Standard Plug Assembly Size 17-16. 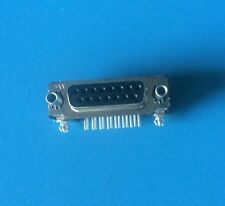 EDGE CARD CONNECTOR DUAL FMALE 100POS. 100. Card TypeNon Specified - Dual Edge. Material - InsulationPolyester, Glass Filled. Card Thickness0.054" ~ 0.070" (1.37mm ~ 1.78mm). Flange FeatureFlush Mount, Top Opening, Unthreaded, 0.128" (3.25mm) Dia. You are purchasing a Lot of 5 TE Connectivity/AMP 206708-1 CPC Plug Kit w/ Cable Clamp and Tin Sockets. Included in Kit 5 206708-1 5 206966-7 45 1-66101-9. 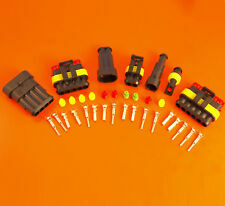 You are purchasing a Lot of 10 TE Connectivity / AMP 206070-8 Size 17 CPC Cable Clamp Kit. You are purchasing a Lot of 5 TE Connectivity / AMP 206060-1 CPC Plug Kit w/ Cable Clamp and Tin Sockets. Kit includes 5 of 206060-1, 5 of 1-206062-6, and 20 of 1-66101-9. Conn SIMM Socket SKT 72 POS 2.54mm Solder ST Thru-Hole. You are purchasing a Lot of 5 TE Connectivity/AMP 206062-3 CPC Cable Clamp Kit Size 11. You are purchasing a Lot of 5 TE Connectivity / AMP 206070-1 Size 17 CPC Cable Clamp Kit. You are purchasing a Lot of 5 TE Connectivity/AMP 206430-1 CPC Receptacle Kit w/ Cable Clamp and Tin Sockets. 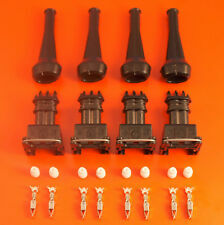 Kit includes 5 of 206430-1, 5 of 1-206062-6, and 20 of 1-66105-9. You are purchasing a Lot of 5 each TE Connectivity/AMP 206705-1 & 206708-1 Standard CPC Plug & Receptacle. You are purchasing a lot of 25 TE Connectivity / AMP 206966-1 Size 13 CPC Cable Clamp Kit. 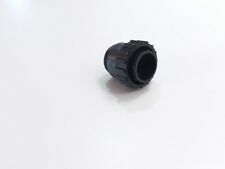 You are purchasing a Lot of 10 TE Connectivity/AMP 206708-1 CPC Standard Plug Assembly Size 13-9. Heavy Duty tin plated Flag style. 080 gauge copper at 3/8" hole. 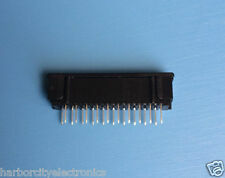 You are purchasing a Lot of 100 TE Connectivity / AMP 1-66099-5 Series III 18-16 AWG Tin Crimp Pins. You are purchasing a Lot of 100 TE Connectivity / AMP 66099-4 Series III 18-16 Gold Pin. 36-WAY CENTRONICS PCB SOCKET. Connector type:Centronics PCB sockets. Mounting type:PCB. PARALLEL PRINTER CONNECTOR. Material:Blue Polyester. Mounting, orientation: Straight. Ways, number of:36. You are purchasing a Lot of 50 TE Connectivity / AMP 320562 PIDG Nylon Window Splice Wire Size 16-14. You are purchasing a Lot of 25 TE Connectivity / AMP 1-206062-6 CPC Cable Clamp Kit Size 11. You are purchasing a Lot of 5 TE Connectivity / AMP 206708-1 CPC Plug Kit w/ Cable Clamp and Gold Sockets. Kit includes 5 of 206708-1, 5 of 206966-7, and 45 of 66101-4. 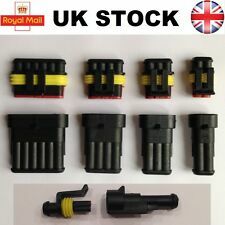 For sale is a lot of 89 pieces of AMP/Tyco 9-Pin Mate-N-Lok Connector Housings. Type : Breakaway. Pitch : 2.54 mm. AMPMODU MOD II. Row Spacing : 2.54 mm. Product Category : Headers & Wire Housings. Mounting Style : -. Product Type : Headers. NEW & ORIGINAL . You are purchasing a Lot of 5 TE Connectivity / AMP 206705-1 CPC Receptacle Kit w/ Cable Clamp and Tin Pins. Kit includes 5 of 206705-1, 5 of 206966-7, and 45 of 1-66103-8. Accessory TypeTwo Piece Backshell. PlatingNickel over Copper. Cable TypeRound. Cable Exit180°. We will try and send a revised invoice asap, although there will be a delay on the weekend. You are buying the exact item described here and/or shown in the picture. Connector Type: RJ11. Gender: Jack. LAN Category: -. 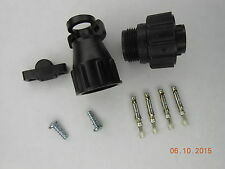 Sealed Waterproof Connectors. 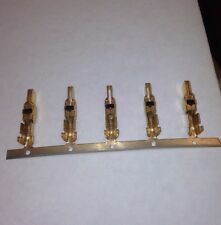 10 X Male connectors housing and insert 2 way. 10 X Female connectors housing and insert 2 way. Hi, for sale 10 sets of. Silicon rubber cable seals. Listed is one Amp circular connector. So, check them out. .250 x. 032 MALE TAB. Tab Width0.250" (6.35mm). Tab Thickness0.032" (0.81mm). Tab Length0.312" (7.92mm). AMP 62409-1. Connection Type PCMCIA CONNECTOR. Mounting Type BOARD. NEW & ORIGINAL 2 Pieces. Part #:176897-1. Manufacturer: AMP, Inc.